With landscapes so spectacular in New Zealand, it’s no wonder the Kiwis are notorious outdoors people with a healthy lust for adrenaline. New Zealand is the land of wild adventure and the ideal place to travel for daredevils and thrill seekers. 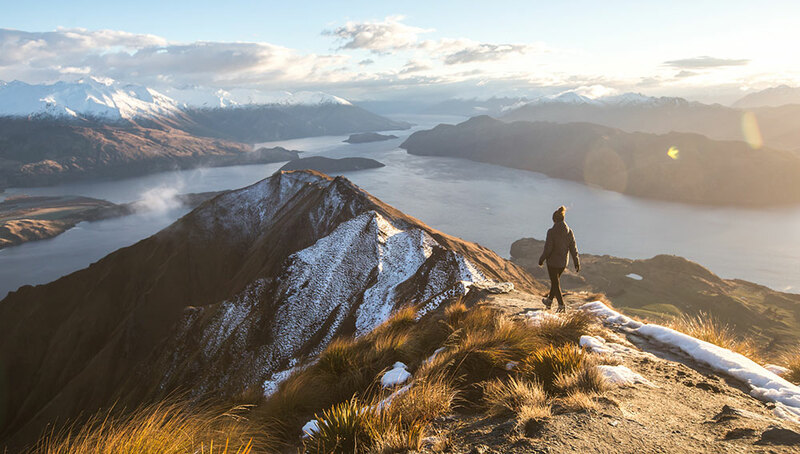 If New Zealand’s stunning scenery and unbelievable landforms don’t take your breath away enough, get your heart racing with these adventurous activities and strap yourself in for the trip of a lifetime! Yes, you read correctly, fly your own stunt plane. No, you won’t be the passenger of a plane while the pilot zig-zags through the sky. 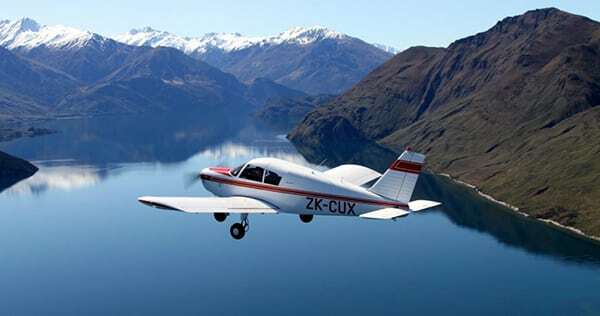 It will be all you, in control of manoeuvring the barrel rolls, figure 8’s and loops up in the sky, with a bird’s eye view of New Zealand’s spectacular landscape. No experience is required and of course, you’ll have your trusty co-pilot (the guide) right beside you the whole way. So, if you feel the need… the need for speed… this one is for you! 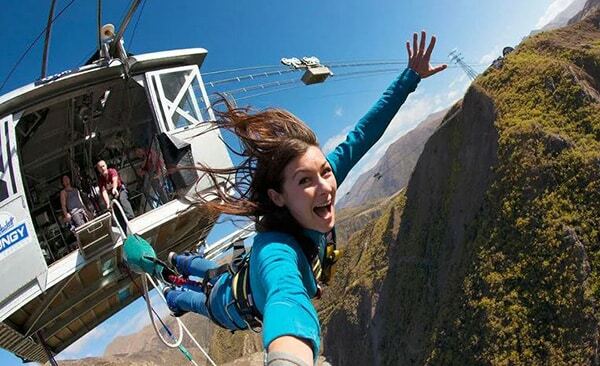 Here’s a fun fact: Kiwis invented commercial bungee jumping, opening the world’s first jumping attraction back in 1989! Today, New Zealand is one of the most popular locations in the world to tie your ankles to an elastic cord and jump from a ridiculous height. There are sites all over the country you can leap from bridges and cliffs, but we recommend taking the plunge in the adventure capital of New Zealand – Queenstown. Be warned though, it’s not for the faint-hearted! A breathtaking trek along the spectacular Franz Josef Glacier in New Zealand’s South Island should be on every thrill seekers bucket list. The 12-kilometre glacier is widely regarded as the gem of New Zealand’s natural ‘ice architecture’ and one of the most impressive sights in the world. You can take a guided tour and choose from a short two-hour venture on the ice or a more strenuous hike, scaling the upper glacier’s walls. 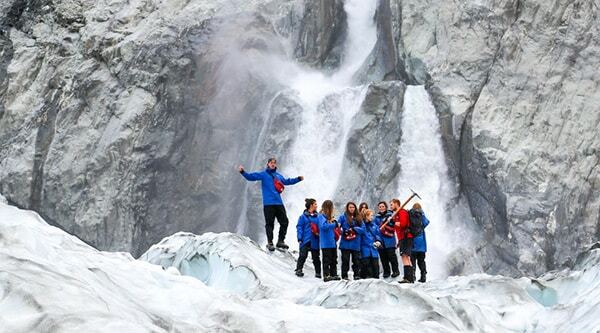 For the more intrepid wanderers – you can even take a three-day gallivant across Franz Josef and get right into the heart of its unbelievable beauty. There are plenty of opportunities to encounter wild dolphins in New Zealand, and there’s no better way to do so than jumping in the water with them! The waters surrounding New Zealand’s North and South Island are home to thirteen different species of these dancers of the ocean, and none of them will shy away from the chance to say hello. Visit Akaroa, west of Christchurch, for the opportunity to swim with the world’s smallest dolphin, native to only New Zealand. 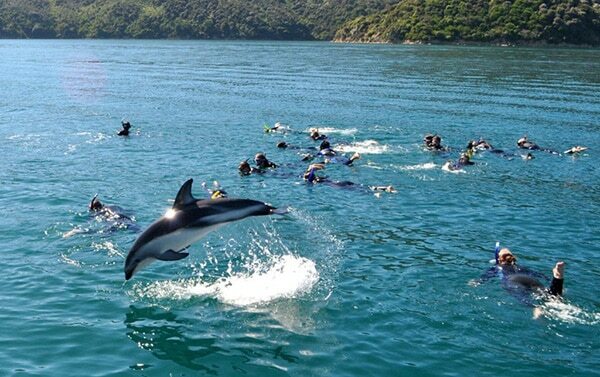 Marlborough Sounds is also a highly successful location to get up close with 5 different species of dolphins, and it’s set in some beautiful surroundings! 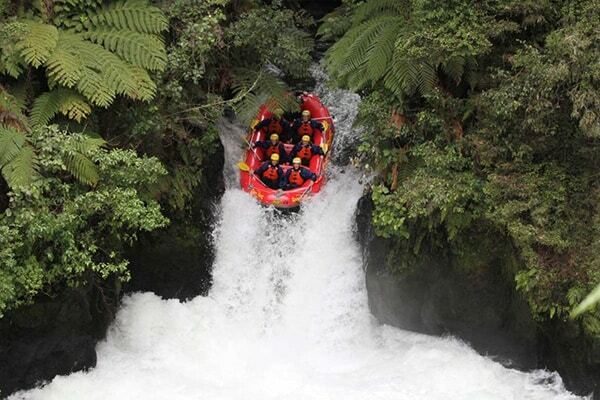 Due to New Zealand’s mountainous terrain, there are plenty of awesome white water rafting experiences to be had. Thrill seekers can plunge their way the strong rapids running through the countries gorges, and there is everything from beginner to pro-grade rivers to ride. Try the Shotover River in Queenstown or Rangitata Gorge in the Canterbury Region for the ultimate white water experience. Can’t get enough adventure? Book a campervan trip in New Zealand with Travellers Autobarn and road trip your way to each and every one of these awesome activities!